The traditionally styled Premier Annabelle kitchen door design looks great in a wood effect or plain coloured finish. Prior to October 2012 the Premier Annabelle design was known as the Sienna. Premier Annabelle drawer fronts start from £2.10. 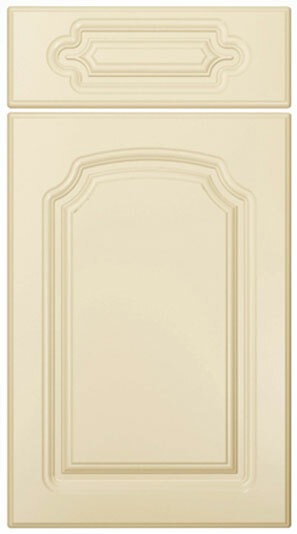 Click the button to purchase a Sample Premier Annabelle design kitchen door. The Premier Annabelle design is available in ALL non-gloss finishes. The Premier Annabelle design is available in ALL high gloss finishes. Please Note: The Premier Annabelle design is NOT available in any high gloss finishes.